According to the U.S. Food and Drug Administration, plums are low-fat and free of cholesterol and sodium. They're also high in vitamin C.
Plums contain antioxidants that protect the eyes from macular degeneration and cataracts. Other antioxidants in plums may help prevent heart disease and age-related diseases. 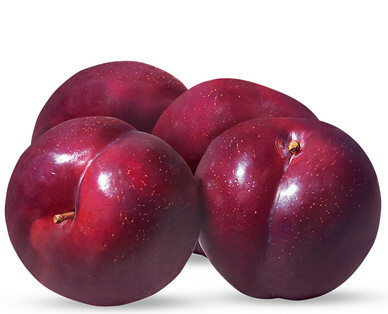 Select plums that are plump and have a slight give when ripe. They should be bruise-free and have a fruity, sweet aroma.